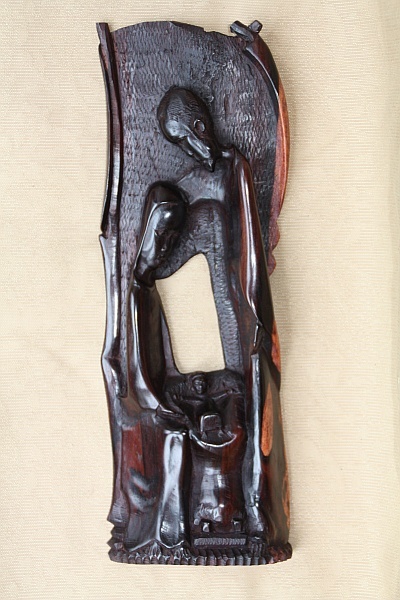 "The Makonde carving what he sees, and of which he dreams," it says. 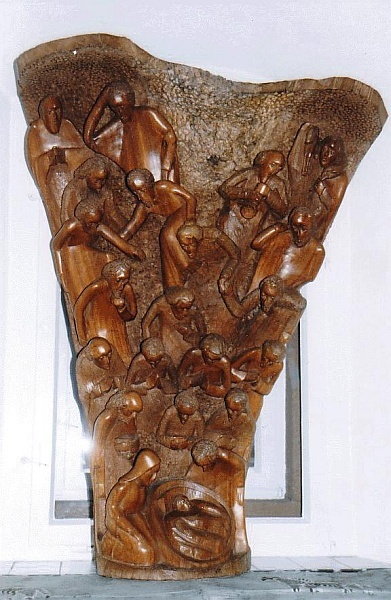 Mahmoud Masoud is self importer, a native Tanzanian who has lived in Germany for over 30 years He works on a small scale with the artists and carvers together in Tanzania. The carvers, he is helping thereby to a secure livelihood. Mahmoud Masoud is part of the initiative "Art from Africa", a small group of people who want to introduce art from Africa in this country. 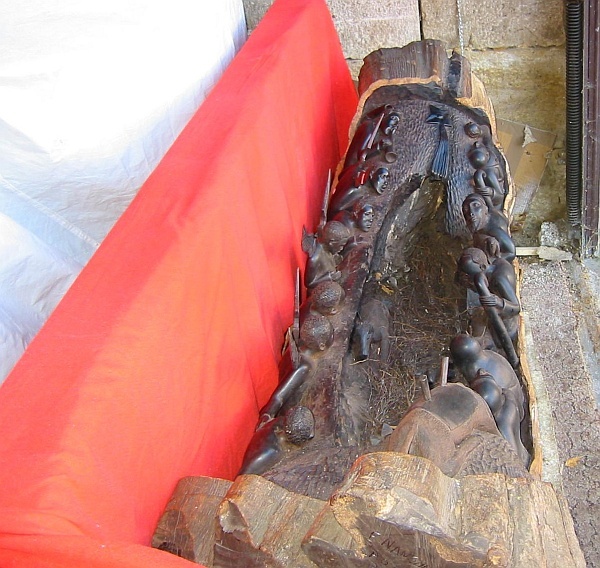 The focus is particularly the Ebenholzschnitzkunst the Makonde carvings Iroko (African oak) or of roses, neem, teak or at the center. Other materials such as soapstone or silver are also starting materials from which virtuoso artists produce interesting pieces. 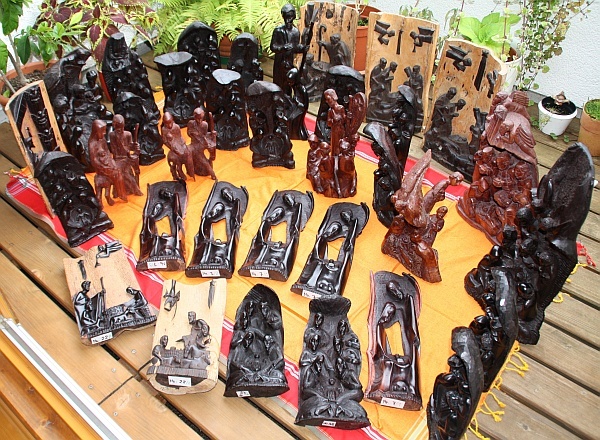 The following video report from the regional TV Station Chemnitzer-Land shows the marvellous Makonde carvings. 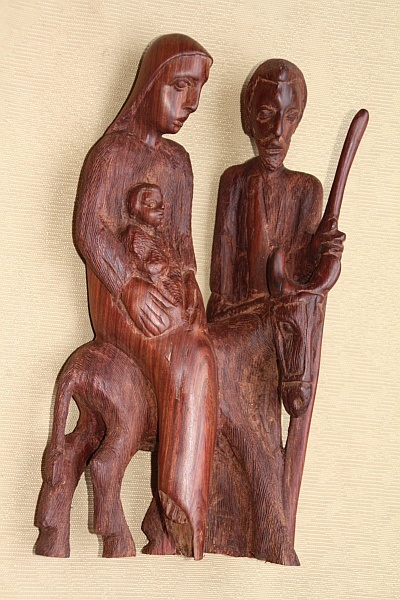 These are presented right now in the Daetz-Centrum in Lichtenstein on the international christmas exhibition "Other countries, other nativity scenes". Tax ID : DE 242437891 - Code word "krippen.de"
Light Crib: Crib light from "Mninga Wood" (african oak), height 1,10 meter, weight ca. 150 to 200 kg, sold! 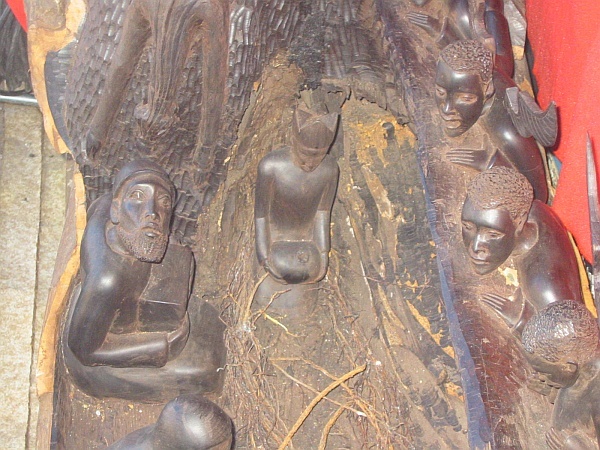 The nativity scenes or sculptures are carved by hand Makonde. The Makonde, a Bantu people, originally farmers and hunters in South-east of Tanzania (also in the north Mozambiques resident) are one of the five major tribes in the country. 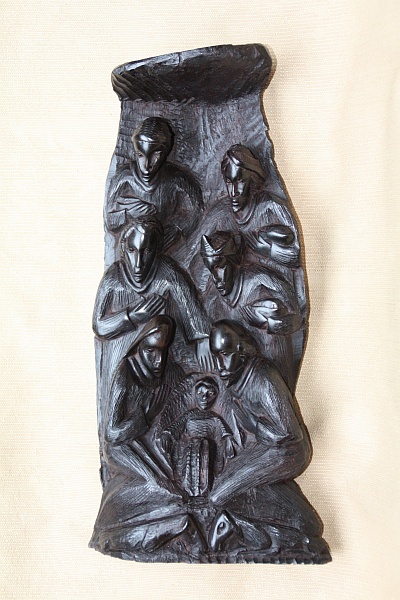 The Makonde sculptures are created from the now become scarce, difficult to be machined black EBONY Granadilla. The figures are generally machined from one piece. Rosewood is a hard type of wood and Mninga wood is referred to as African oak. Ebony Nativity Scene 13 Parts - sold! 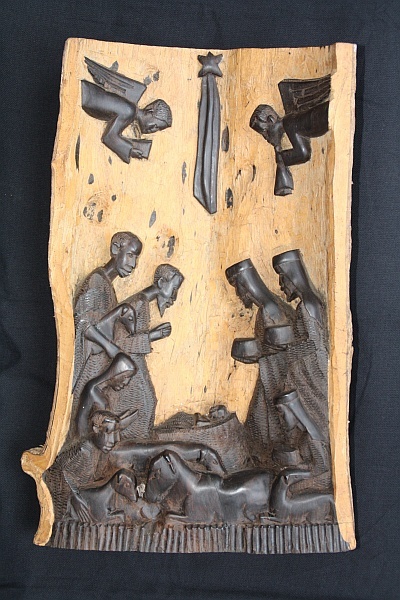 Ebony Nativity Scene with Cotter - sold! 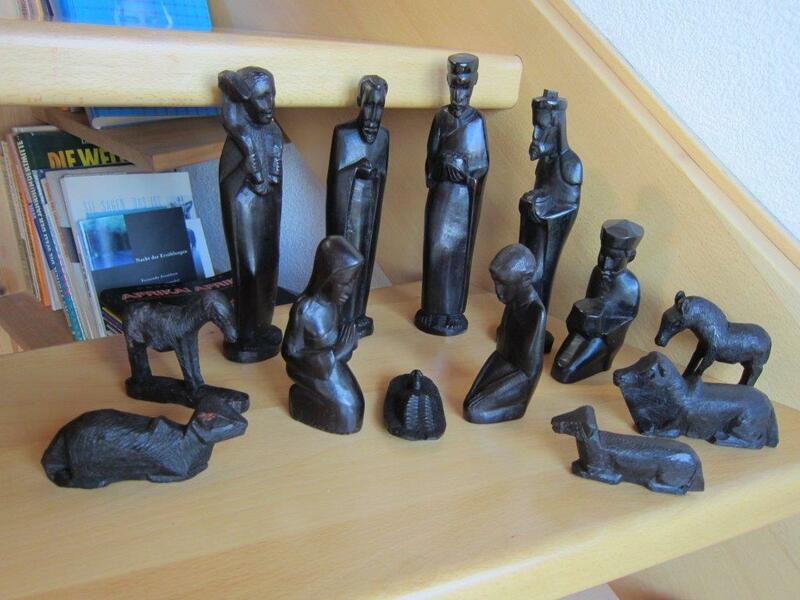 Ebony Nativity Scene - sold! 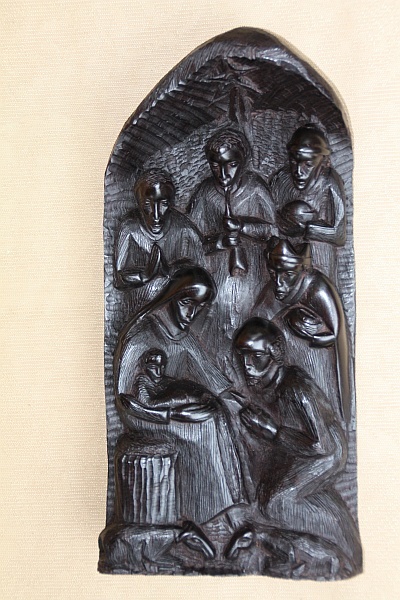 Rosewood Nativity Scene - sold! 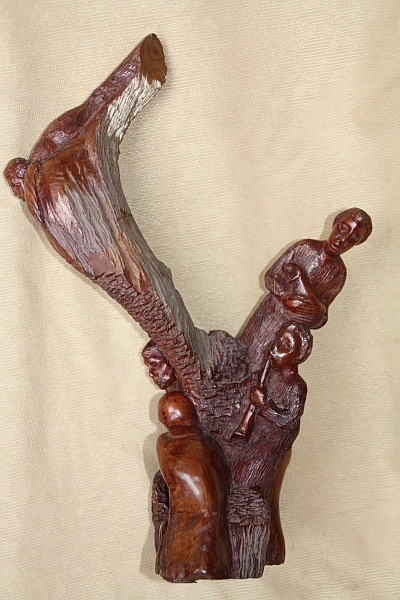 Maria & Josef Mninga Wood (African Oak) - sold! Umsatzsteuer-ID : DE 242437891 - Code word "krippen.de"